Now there is a better way to suppress fire. 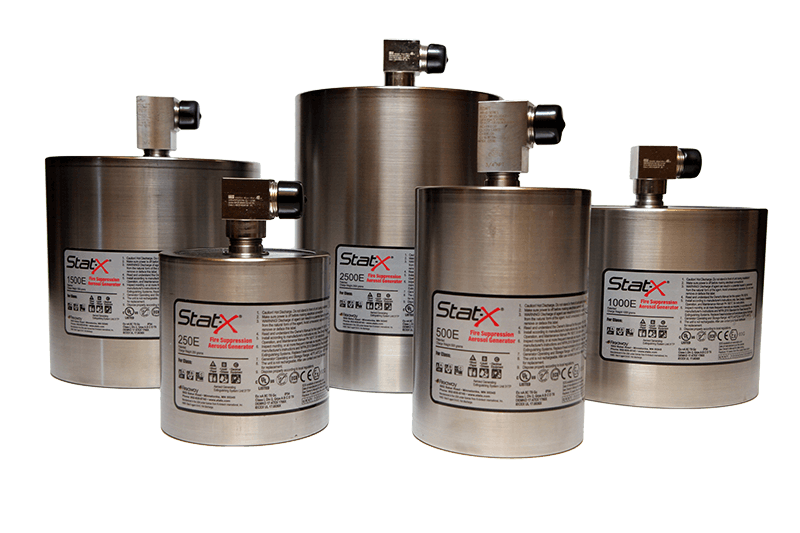 Stat-X electrical fixed systems are electrically actuated and range in size from units containing 30 grams (covering up to 0.5 m3) up to 2500 grams (covering up to 40 m3). 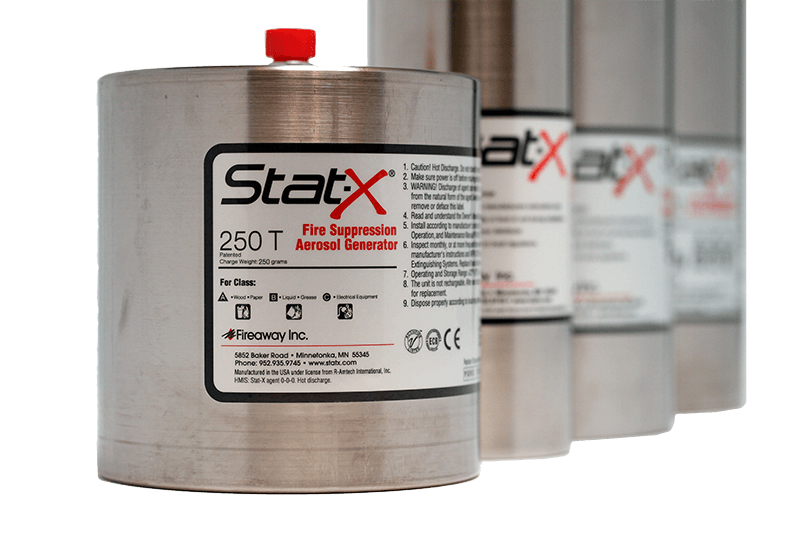 These units are typically tied to conventional fire detection systems and releasing panel. 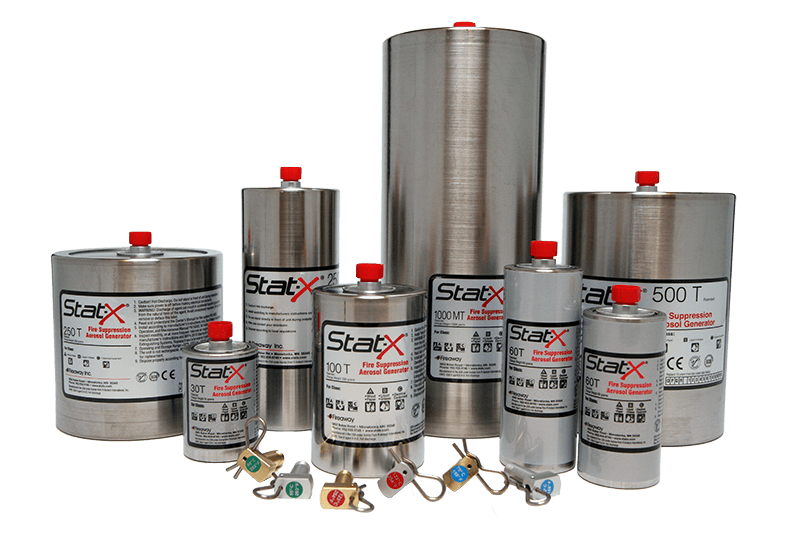 Stat-X fixed system thermal generators are stand alone units incorporating their own patented detection mechanism, eliminating the need for separate detection and releasing controls. Suitable for a broad range of applications in smaller enclosures. They are available in sizes ranging from 30 grams up to 1000 grams. 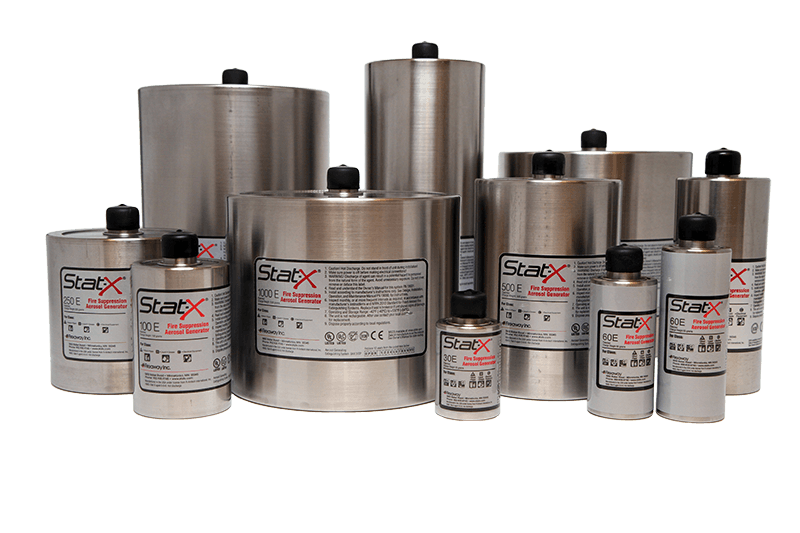 Stat-X manual generators are stand alone units that can be activated manually with a cable pull. Suitable for a broad range of applications in smaller enclosures. They are available in sizes ranging from 30 grams up to 1000 grams. 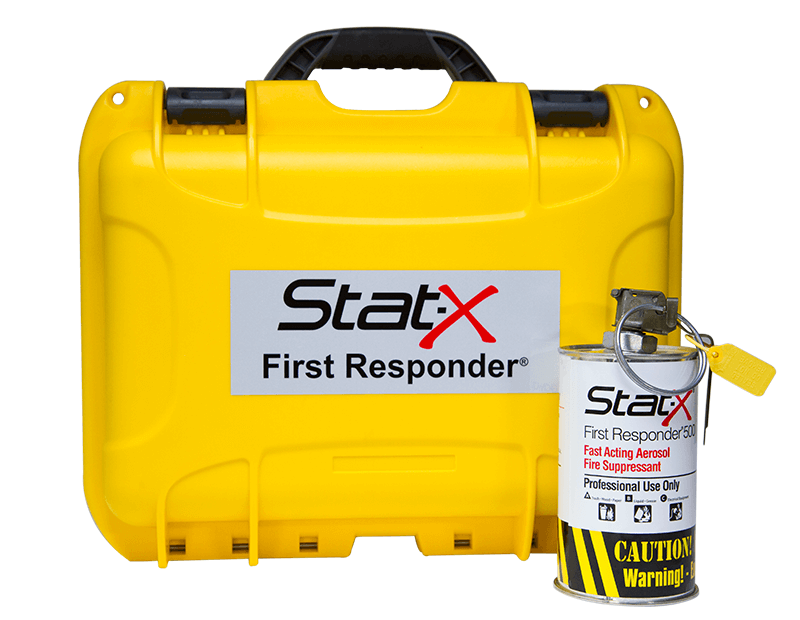 The Stat-X First Responder is a small, light, handheld unit with a pull actuator designed to be tossed into an enclosed space with an active fire to provide immediate fire suppression.